Valerie LaSalle Patout and Bradley Allen Hajec were married Friday, Nov. 25, 2016, at St. Peters Catholic Church in New Iberia. The bride is the daughter of Virginia LaSalle Barnett of New Iberia and Fredric F. Patout of New Iberia. The groom is the son of Mr. and Mrs. Mark Hajec of Carleton, Michigan. The Rev. Nicholas DuPré officiated the 6 p.m. ceremony. Escorted by her father, the bride wore an ivory-colored lace gown with a slight bateau neckline flowing into a sheath silhouette and chapel train. A dramatic backline was sprinkled with rhinestones and crystals with the en closer embellished by covered buttons. For her headpiece, she wore a floor length veil and a gold leafed hair piece with rhinestone and pearl accents. She carried a garden gathered, hand-held bouquet of safari sunset pin cushion protea, gerbera daisies, roses, pink mink protea with pheasant feathers, wheat and seeded eucalyptus. 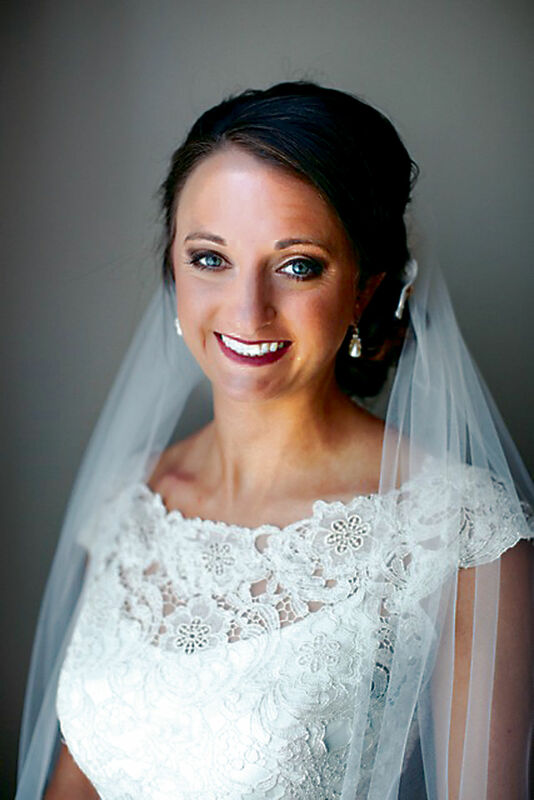 Serving as maid of honor was Angelle LaSalle Patout. Bridesmaids were Marie-Louise Bridgeman, Valerie Derouen, Clara Frugé, Kristen Ordodi, Ryan Stelly and Ann Hajec. Junior bridesmaids were Trinity O’Brien and Catherine Culbertson. Flower girl was Audrey Romero. Ring bearer was John Joseph Garnett. Serving as best man was Alex Thomas Kallin. Groomsmen were Christopher Ordo, Thomas Lyons, Alex Malinowski, Andy Leahy, Nic Patout and Kyle Clement. Kyle Clement and Chris Ordo served as ushers.